How to Get Alimony in Florida | Kevyn Noonan Hayes, P.A. How to Get Alimony in Florida | Kevyn Noonan Hayes, P.A. One key component in many divorces is alimony. Sometimes called maintenance, alimony is paid from the higher earning spouse to the lesser earning spouse. It is paid after the divorce for a period of time until the lesser earning spouse lives independently. In the past, men traditionally paid women alimony when a marriage ended. However, today alimony is paid by either spouse, and the criteria is much more stringent. What Type of Alimony Do You Need? First, consider the different types of alimony that are available. Do you need alimony for only a short time until you find a job? Or while you go to school to learn a new trade? Or are you disabled and need long-term alimony because you are unlikely to fully support yourself after your divorce? Whatever your situation, discuss with your attorney the different types of alimony available and which type fits your needs best. Typically, even permanent alimony isn’t truly permanent except in very, very rare cases. So, it’s you’ll need to also start forming a plan on how you can get on your feet after the divorce. Any case needs evidence, and your case for alimony is no different. Contact your lawyer to discuss what types of evidence you need to bring forward to help support your request for alimony. You may need to bring pay stubs or tax records for the last year or more of your marriage. 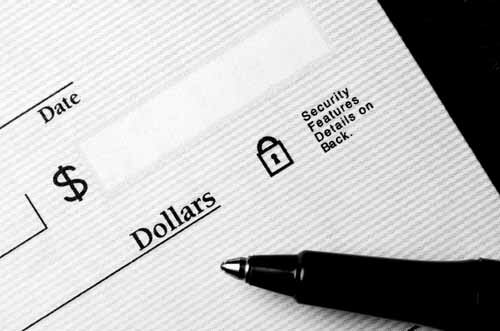 Bank statements and other financial documents can also help bolster your claim. Basically, the court will be looking at several criteria, most important of those being what standard of living you became accustomed to during the marriage, your contributions to the marital home (financial or otherwise) and what will be necessary for you to live independently after the split. Often, juries and some judges have the misconception that spouses asking for alimony are “gold diggers.” It’s important to try to resolve the matter before having to resort to litigation, because with litigation, you’re rolling the dice in a way. An experienced alimony attorney can help you put together a compelling case for alimony and can assist you in obtaining an agreement for alimony through mediation or arbitration, without the need for litigation. Contact Kevyn Noonan Hayes, P.A. today to learn more about Florida alimony and what steps you need to take to obtain alimony. Call now at 239-591-6248. Posted in : Kevyn Noonan Hayes, P.A.